Beautiful time lapse during sunrise/sunset scenery with motion of cloud and sky at Kuala Lumpur skyline or skyscraper. Zoom timelapse motion. UHD 4k. 4k00:09Beautiful time lapse during sunrise/sunset scenery with motion of cloud and sky at Kuala Lumpur skyline or skyscraper. 4k00:09Beautiful time lapse during sunrise/sunset scenery with motion of cloud and sky at Kuala Lumpur skyline or skyscraper. Timelapse motion. UHD 4k. 4k00:09Beautiful time lapse during sunrise/sunset scenery with motion of cloud and sky at Kuala Lumpur skyline or skyscraper. Zoom in timelapse motion. UHD 4k. 4k00:09Beautiful time lapse during sunrise/sunset scenery with motion of cloud and sky at Kuala Lumpur skyline or skyscraper. Zoom timelapse motion. UHD 4k. 4k00:09Beautiful time lapse during sunrise/sunset scenery with motion of cloud and sky at Kuala Lumpur skyline or skyscraper. Zoom in timelapse motion. 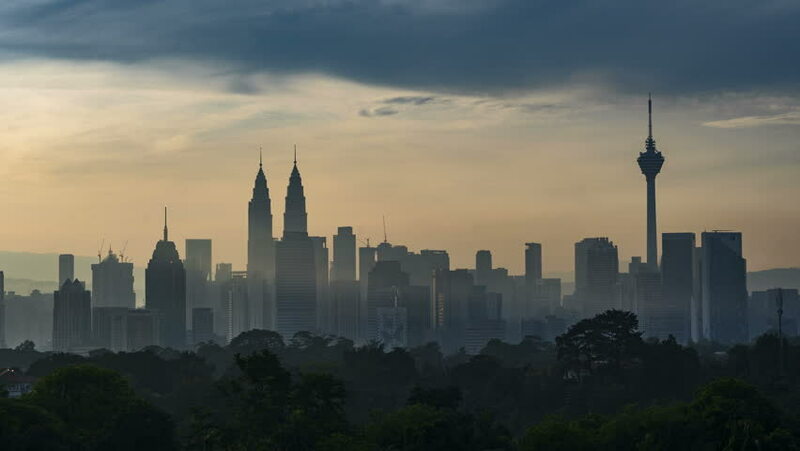 4k00:15Kuala Lumpur, Malaysia - March 24, 2019: 4k UHD establishing cinematic b-roll shot of sunrise scene at Kuala Lumpur city skyline during hazy and misty season.